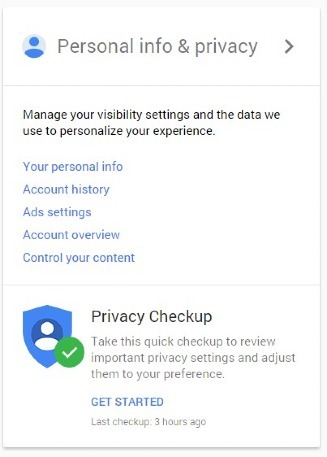 Google has developed a way to manage your privacy settings from one central way. Find out what data Google holds about you and how to take control. If you own a Google account - and chances are that you do - Google has now developed a central account management facility where you can get an overview of the data the Chocolate Factory holds on you. But more: now you are also able to manage certain permissions from that accounts page. You should take some time to walk through each of these sections. If you are using one of Google's free services you should understand why they are free. You are not paying with money but with personal data the serach engine giant can get from you. This data is extremly valueable to advertisers who want to target a certain group of users. While Google does not pass on individual's data to third parties (according to Google), your birthday, gender and address are used for example to target an advert for an electric shaver sold at a local supermarket to all men from the age of 20 who live in South East London. I am not saying you should stop using Google services. But you should always be thinking about how much privacy you are willing to trade in for some innovative internet services.